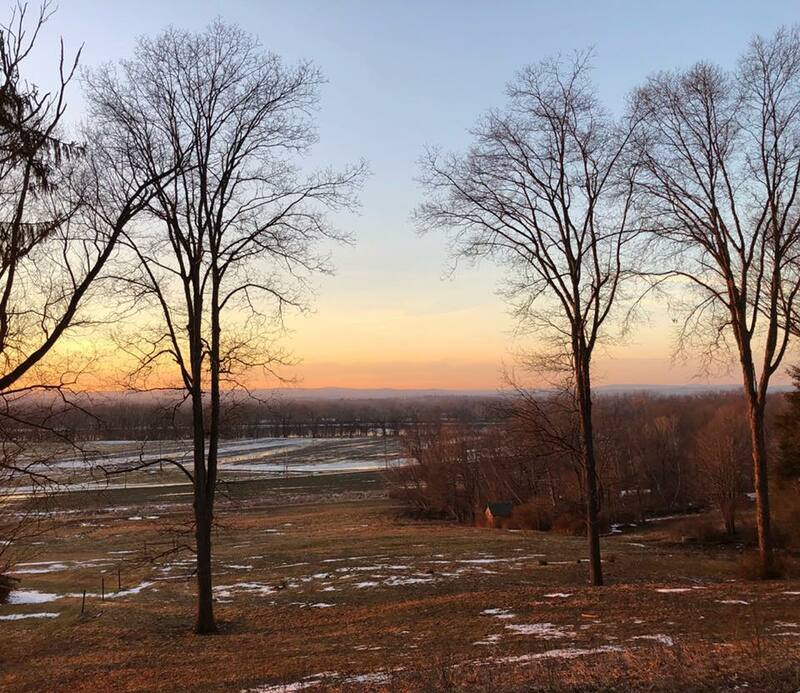 Although it was no where near Polar Vortex status, New England endured a painful cold snap last week. 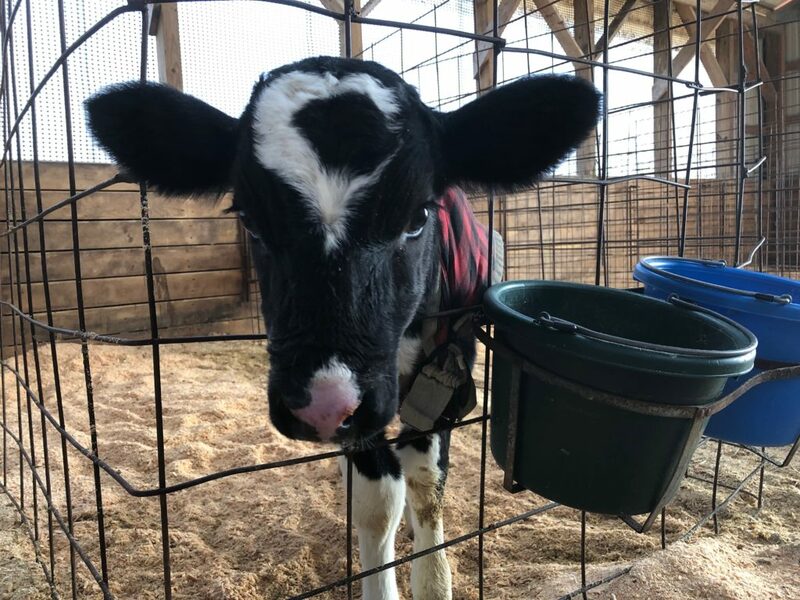 Between tarps on the barn that block out wind, heated floors in the robot milkers, and body heat from 250, 1,400lb animals, the cows stay content in the cold. 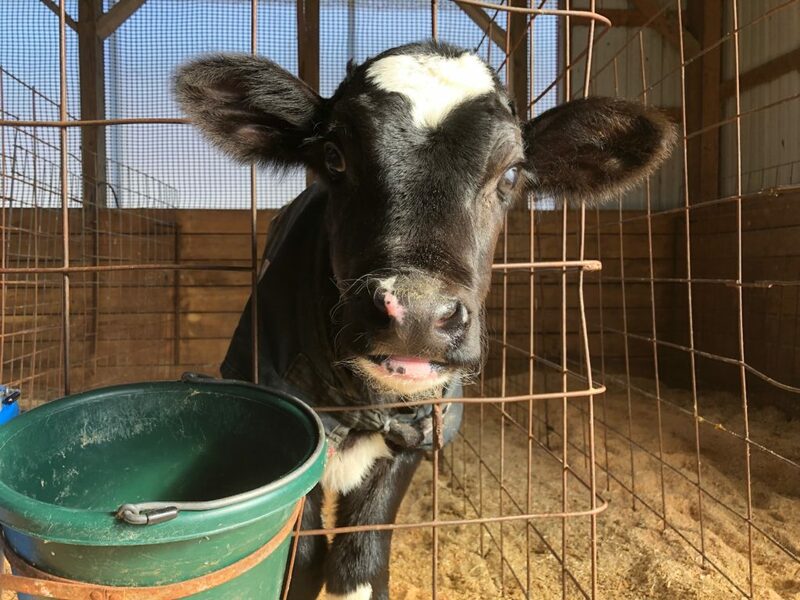 The ideal temperature for a dairy cow is about 40degreesF. And while -5F isn’t all that close to 40F, they prefer below zero to over 80F! 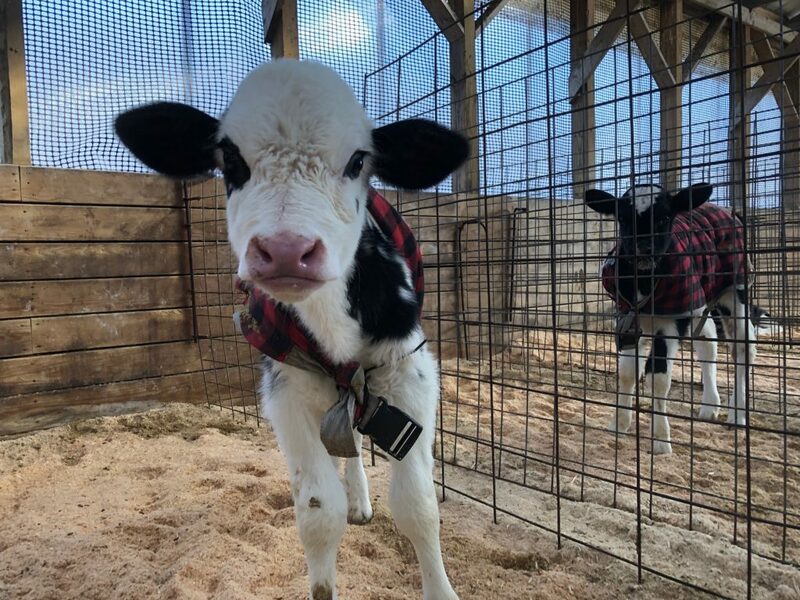 Here’s some more info on how we keep our cows warm in the wintertime. 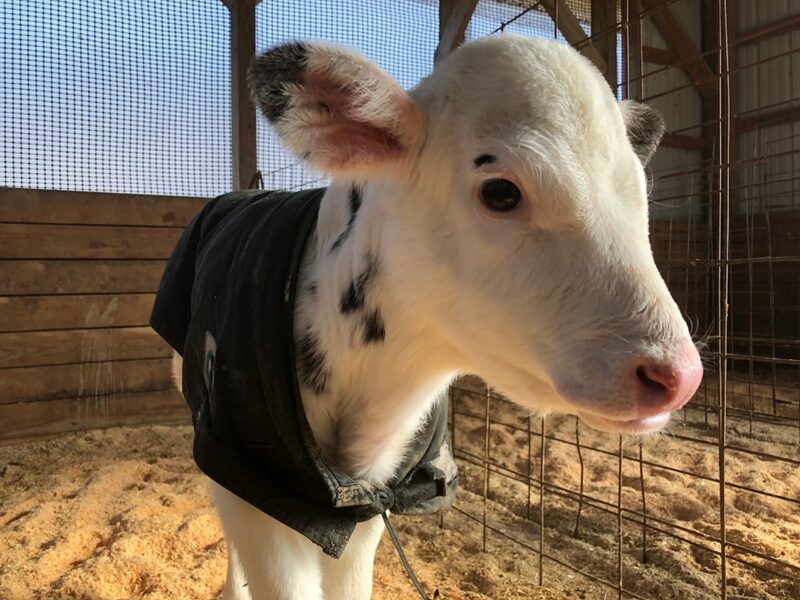 The ones to worry about in the extreme cold are the calves and the farmers. 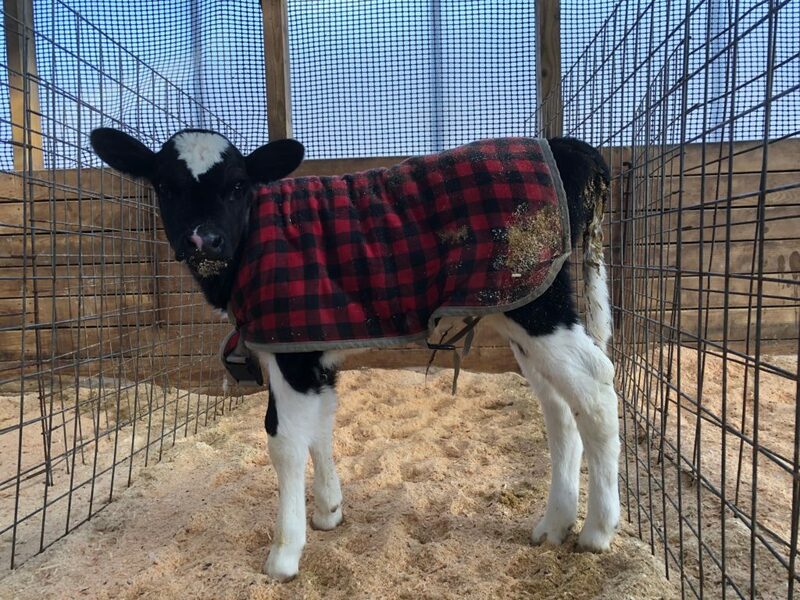 We bundle our little ones up with insulated jackets, put tarps up on the barn, and bed them in straw. For this particularly cold week we were also feeding them 3 times a day instead of 2, just so they had the extra energy to stay warm. Still, it’s cold, and we have to add re-bedding, extra feeding, and more attention to the to-do list. On top of additional animal care in the extreme cold, the farmers also have to deal with lots of problems caused by freezing. Our alley scraper froze to the floor and broke several times this week. Fixing the alley scraper involves getting your bare hands covered in manure. It’s not an ideal situation ever, but especially not when you have wet exposed hands and it’s 0degrees. We also have to pay close attention to the milk lines moving from the robot milkers to the bulk milk tank. It’s cooling on the way to it’s destination and a frozen milk line makes for a very unpleasant emergency. Luckily this wasn’t a problem this last week! But today the temperature was in the 50s and yesterday it hit almost 70degrees! 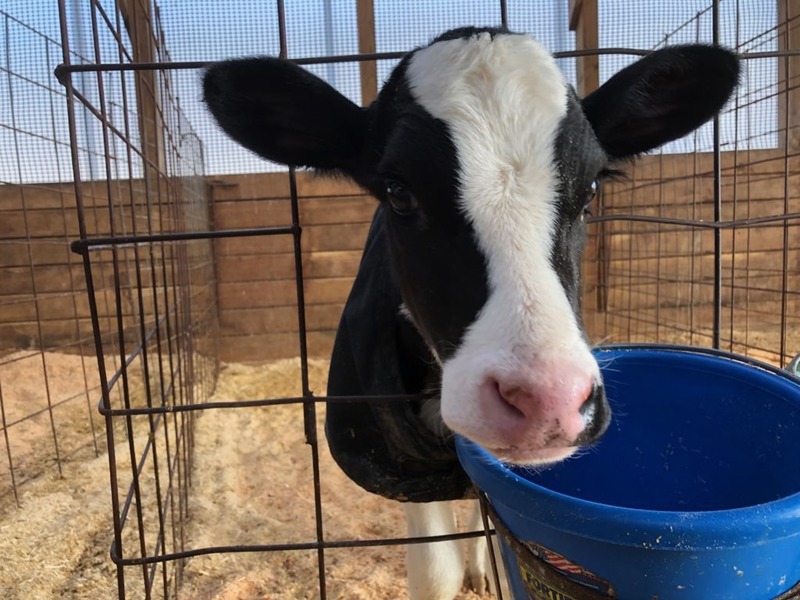 One of the many joys of my job is taking photos of the calves for the Name the Calf Contest. The curious little buggers always want to come say hi to the camera, but when it is super cold, I feel guilty for rousing them. Visiting them today for their photo shoot was delightful. The calves were as feisty as spring chickens and very photogenic if I do say so myself! I’m feeling grateful for healthy animals, muddy boots, and a tiny hint of spring! Enjoy, all!